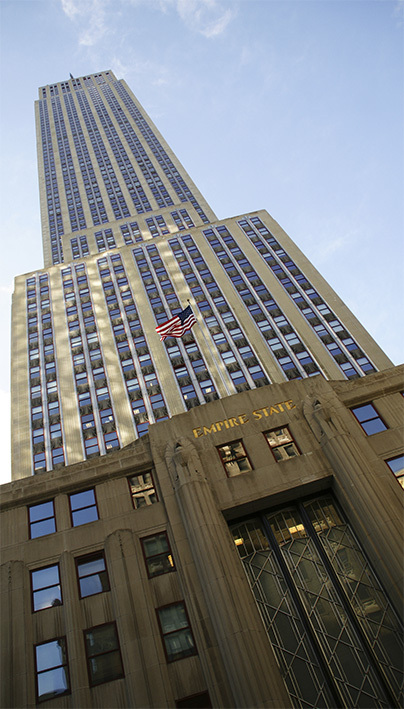 Estreich & Company is proud to be one of the most active commercial property finance brokers in New York City. Our project list, however, extends well beyond New York City to significant properties in most major sub-markets across the country. Nationwide, we have financed every conceivable asset-type from ground-up construction, rehab projects, malls, strip centers, office buildings, and multi-family properties, to industrial buildings and land, hospitality/resort properties, and health-related facilities. Our team of highly qualified professionals handles all stages of the financing process providing comprehensive due diligence and cash flow analysis, preparing a financing brochure, compiling a comprehensive schedule of lending institutions who are pre-screened to be potentially suitable and interested lenders, and managing the transaction through closing. Estreich & Company's ability to consistently deliver financing solutions stems from extensive local relationships that have been developed over more than thirty years. Our reputation and track record of consistently successful transactions has led to a nationwide network of investors and regional financing sources. Our clients benefit from this extensive and ever-growing network. Relationships with local and regional financing institutions, coupled with our constant interaction with a broad range of national and foreign sources of capital, enable us to provide our clients with the widest range of suitable funding sources. Having closed repeatedly with these investors and lenders—each influential in their respective markets—Estreich & Company fully understands the real estate fundamentals of each specific area and the client's asset within that context. Estreich & Company has been a leading provider of mortgage brokerage and capital advisory services since 1986. Our relationships with financial institutions provide access to senior-level decision makers at the most active capital providers. Our real estate professionals have decades of experience through various real estate cycles providing a hands-on perspective to the restructuring of the most complex transactions. Our affiliation with RCG Longview and their private debt and equity fund vehicles provides the ability for direct project-level investment and financing opportunities. Principals of our affiliated companies control and/or manage over 40 million square feet of commercial real estate and over 42,000 apartment units. Estreich & Company advises on syndications of senior and subordinate pieces of all loan types for a wide variety of financial institutions.